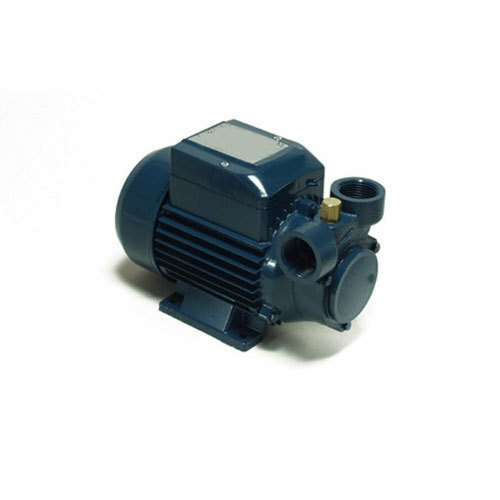 We offer the best quality range of Water Pump. Our expertise has allowed us to develop advanced pump sets, which are very robust in design and maintenance- free. We, Delhi Steam Traders, an ISO 9001:2015 Certified and SSI Certified company, were founded in the year 2000 and initiated our profound business of manufacturing, exporting, supplying, importing, service providing, retailing and trading of Garments Finishing Machines. We have manufactured our offered range with utmost precision and with a vision to offer our customers, best-in-class machinery for their textile industry-specific needs. Under our product gamut, we have brought forward Industrial Ironing Equipment, Needle Detectors, and Laundry Machinery. In our entity, we have always given our customers top priority and this customer-centric approach has enabled our firm to garner huge client network. We offer our products to all over the world. It has been possible for us to offer our customers, products as per their expected standards, backed by our innovative approach. We conduct our business tasks following ethical business norms and these positive working attributes have helped our company to grow constantly. In the same process, we are backed by our vast infrastructural facility and team of experienced professionals. Our workforce is competent and hard-working, putting in impeccable efforts in carrying out our working procedures. Machinery offered by us is a result of the continuous efforts that we have made for upgrading our facilities and working structure, for ensuring optimum & accurate functioning for them. With a belief to offer our customers enriching experiences, we are associated with some of the trusted & reputed names of the industry such as Omega Designs, East-West Traders, Global Exchange Ltd., Rolex Hosiery Pvt. Ltd., Bharat Exports Pvt. Ltd. and Raghunath Equipments Pvt. Ltd, Modelama exports Ltd, Orient craft ltd etc.